In this story a group of half human-half bird kids are trying to save the world and not trying to get killed by Itex, A company with labs that create creatures and created them. 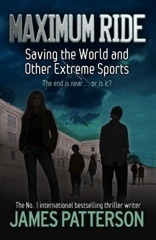 To save the world they have to stop Itex. Itex has made Erasers to capture the kids in the past but now they have made robot versions of the Erasers the kids call “flyboys”. Itex also has a plan to destroy at least half the population of the world. Itex thinks that it will be a better world if all the people that aren’t good enough are gone. The group of half human-half bird kids get split in two with the group of boys explore around America and the rest of the group head across the ocean to Europe. The smaller kids want to have fun and explore wherever they go but Max, the leader of the group wants to stop Itex as soon as possible. In Europe they ask for help from the group of boys in America but get captured by Itex after sending the message. While locked in a dungeon, the group hopes the group of boys comes to help them escape and stop Itex. This book is a very interesting book to read. The WHS Library owns the Maximum Ride series. This book is about Zach a teenager who has schizophrenia. He is caught up in a robbery gone wrong at a local coffee shop. During the robbery he, along with others, is held hostage. What takes place is hostage negotiations between the robbers and the police. During this time Zach is mostly scared about the voices in his head which have grown stronger throughout the event. This is due to the fact that he has yet to receive his medication. The book helped me to learn more about schizophrenia. Also, I learned about his time in a mental institution because he was suicidal. It helped me understand some of the struggles people with mental illness go through. The author really does a good job writing what Zach is experiencing. 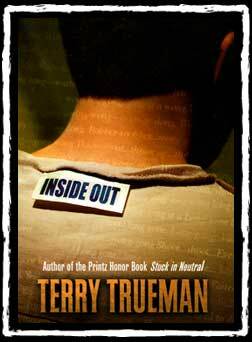 Inside Out is available at the WHS Library. The book street pharm was about a 17 year old New York City boy who inherited his father’s drug dealing business. He loves making easy money. However a problem arises when another dealer tries to take over his turf. Many things happened including school trouble, getting shot, and his girlfriend leaving him. You will have to read the book to know the rest. I really like the book because it’s about drug dealing which is a big problem especially in a big city. I also like it because it kept me wondering what was going to happen next. This book would be a good book for anyone who is interested in learning about how inner city kids have to deal with the many problems caused by drugs in a big city. 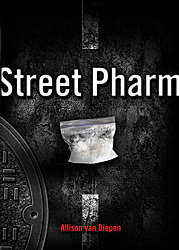 Street Pharm is available in the WHS Library. Anthem, written by Ayn Rand, is an exemplary work of fiction with a clear message about the necessity of individualism. the plot centers around a lone individual living within a near hive-mind society. In this society, every physical or mental difference is frowned upon, everyone is expected to be of the same intelligence, and grow at the same rate. even the use of the pronoun “I” is forbidden on pain of death. eventually, the individual, (who is unnamed until the end) breaks away from the collective, and renames himself Prometheus. I found the book to be brilliant in terms of writing style and philosophy, the harsh depictions of the collective versus the optimism in Prometheus is a magnificent display of Man Vs. Society as well as a great way to depict a first person point of view. Rand is able to depict prometheus as both a brilliant maverick, who’s advancing faster than the entire society, as well as a lost child, who is unable to grasp why his society does not want to move forward with him. as complex as the book is, it is not a difficult read, so I recommend It for 9th graders and up. We own Anthem! Check the catalog to see if it is available. Amy thinks she murdered her best friend. So does everyone around her, except her parents and councilor. She has a major drinking problem and was forced to go to a “crazy house” after the accident. No one understand Amy, she feels like she is alone in the world and only alcohol is the solution, it makes everything better, it has the power to make her forget everything that has happened around her. She hates her parents because their so in love with each other, which is absolutely not normal and it makes her almost invisible around them. Amy hates her shrink, although she makes Amy realize that its not her fault, people make choices and some of them are not always good. Love You, Hate You, Miss You is about dealing with the past. Walking around school, people staring, whispering and thinking murderer, Amy feels like dying and never coming back to school again. Maybe some people and make her feel like she can still go on and not blame everything on herself for the rest of her life. Love You, Hate You, Miss You is in the WHS Library, along with several other Elizabeth Scott books. Reed Brennan is a 15 year old sophomore who does not want to attend her boring high school, Cronton High like last year. 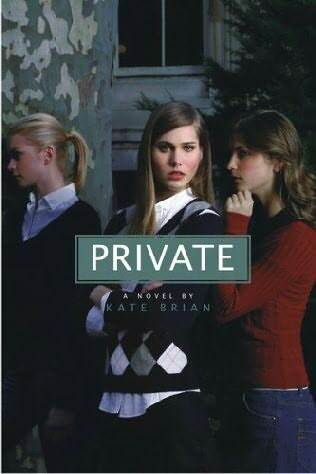 She leaves her pill poping mom with her Dad who she loves more than anyone, to attend Easton Acadamy, a private and rich bording school (She is on full scholarship). Reed has always kept to herself but when she arrives at Easton she realizes this will all change. Wanting to be in the top social class, the Billing Girls who are the most brilliant and beautiful girls on campus,to her so called nice senior boyfriend, Thomas. 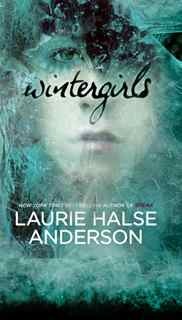 Reed soon finds out that being with the rich and famous can lead to dangerous encounters, and even the beautiful Billing Girls and not to mention Thomas have secrets of their own.